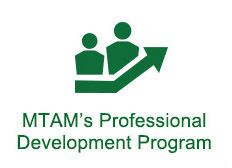 MTAM Classified Listings are provided at no charge; a dedicated service for MTAM Members and others in the health care community. 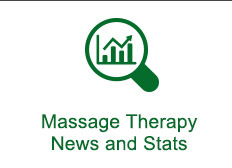 Classifieds can include private sale of Massage Therapy-related used equipment, clinic space rental or leases, sales of a Massage Therapy practice, employment ads, and volunteer opportunities. 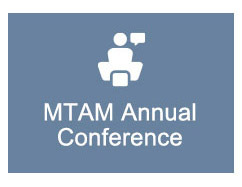 MTAM does not promote or endorse any of the employment opportunities, products or services advertised here. Please determine if an advertised opportunity, product or service will meet your needs before committing. 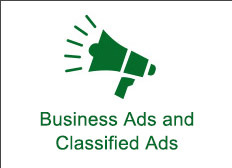 Separate from the MTAM Classified Listings is MTAM Business Advertising. To submit a Business Ad click here. RMT wanted to join a dynamic professional team at River East Physiotherapy & Sports Fitness Clinics in North Kildonan. Our 2 clinics are newly renovated. Flexible hours Mon through Sat. Training in deep tissue, relaxation, scar, lymphatic and cupping massage techniques all assets. We offer Employee or Contractor status with flexible hours, competitive split commission, optional Group Insurance benefits. All lotions and linens supplied. Rooms all furnished. We do all your appointment bookings. Onsite WiFi. You just come and perform your expertise! We are looking for dynamic RMT''s to join our team at the following locations! Opportunity to work at multiple locations!!! If you are skilled, adventurous, reliable, energetic, hardworking, professional and enjoy having fun at work you may be the right candidate!! The inMotion Network of rehabilitation clinics are multi-disciplinary in nature. We offer a variety of physiotherapy programs, massage therapy services, occupational therapy, personal training, chiropractic, sports medicine and nursing foot care. 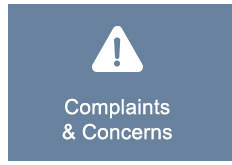 Cross referring and a team approach to patient management is encouraged. Newer grads encouraged to apply! POCCA POCA SPA is the very first Japanese Spa in Winnipeg, located at 840 Waverley Street. We are currently recruiting part-time RMT. We are always seeking people with passion, drive for natural beauty, understanding of alternative health, advanced education and self-motivation. -GANBAN-YOKU session on the day of your shift. To apply, please send your resume to Mieko at mie@poccapocaspa.com. Please feel free to contact for any questions. Position open for a Massage Therapist for busy physiotherapy clinic in Winnipeg- close to Polo Park Area. Must have RMT certification for billing to insurance companies. We are now hiring certified RMT''s for the Ten Spa at the Fort Garry Hotel, Spa and Conference Centre. We have opportunities for those with evening and weekend availability preferably. Both part-time and full-time available. If you are interested in a position please forward your resume to hr@fortgarryhotel.com! Located in the wonderful Corydon Village area at the corner of Lilac and Jessie st. Various hours are available to customize your schedule. We prefer someone who is mostly established or is willing to help promote themselves. We operate as a supportive team in a professional but laid back environment. 3 treatment rooms are shared and furnished to the therapist's needs. Scheduling and billing system provided. Position open for a Massage Therapist for busy physiotherapy clinic in Brandon. Must have RMT certification for billing to insurance companies. Well established caseload with current waiting list. Reception, billing services and laundry supplied. Close interaction with physiotherapists for referrals of mutual clients as needed. Mechanical up/down bed with warmer. Private room. Set your own schedule. Plenty of parking. Join the most Innovative Health Center at Keewatin at Adsum (Waterford Green). This BRAND NEW 3800 sq/ft clinic provides a Medical/Walk In Clinic/Pharmacy/Physiotherapy/Athletic Therapy, and now looking for Massage Therapists, all under one roof providing optimal care to all patients! If you are looking to relocate or are a new graduate looking for space to practice send your resume to dr.parmchohan@gmail.com or fax resume to 204-667-6585. Fortify was born out of a desire to empower people to regain authority over their health, and re-discover their strength. Fortify is an intentional lifestyle brand, and will be opening the doors to Fortify-a multidisciplinary health and wellness centre, summer 2019. As a registered massage therapist (RMT) at Fortify, you will work alongside a team of highly qualified practitioners in our brand new, inspiring, synergistic wellness centre. We are currently looking to hire full time or part time passionate, skilled, wellness-minded RMT to provide comprehensive, patient-centered care. New graduates who are highly motivated to grow their practice are encouraged to apply. What we offer: Positive and professional work environment. Clinical approach to treatments in an enthusiastic and inviting atmosphere. Flexible schedules to meet work-life balance. Full reception services and support (billing, laundry, booking, marketing). Please reply to hello@fortifynaturalwellness.com with both cover letter + resume. Active Chiropractic and Wellness is looking to hire a Registered Massage Therapist (RMT). Full Time and Part Time hours available. We are building a new treatment room which is expected to be up and running within two weeks! Our multi-disciplinary clinic consists of chiropractic, physiotherapy, massage therapy, and naturopathic medicine. We are currently looking for another massage therapist to meet the demand. We are open to both part-time and full-time treatment schedules to ensure our patients are getting in within a reasonable time-frame. Rent cost is dependent on the schedule you choose. We offer flexible scheduling, an optional health-care benefits package (at your expense), and we provide excellent reception coverage (booking patients, monthly bookkeeping, etc). If you’re interested in this opportunity, please submit you resume/CV and any questions to drmarissa.sparrow@gmail.com. We are looking for dynamic RMT’s to join our team now at the following locations! Skywalk Chiropractic and Co. is hiring! We will also consider practicum students. All supplies such as linens, plinths, oil, etc. You get disability benefits, EI etc. Email hello@skywalkchiropractic.ca attention Adrielle to apply. Winnipeg Mind and Body Massage Therapy is looking for a part time or full time massage therapist in North Kildonan. We provide laundry, furnished rooms, and online booking (great software that tracks your clients insurance and allows you to soap chart online as well right from home). RMT strengths: independent contractor and hours, organizational skills, good client care. 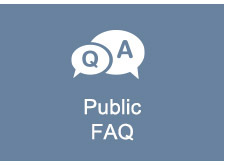 Pay: commission based or rent- will be discussed individually. CrossFit Steinbach has expanded, and we are looking for a Registered Massage Therapist or two who are interested in renting space in our building. If you are looking to build your clientele, we have a number of gym members looking for massage treatments, and of course you are welcome to bring in your own clients as well. You are free to work your own hours and book your schedule as you see fit. Amenities include a bathroom and shower across from the treatment room, as well as a washer and dryer for your convenience. Room rental available May 1, 2019. Email Colin at colin@crossfitsteinbach.com or call 204-293-7262 for more information. You are invited to join our multi-discipline team focused on the over-all health and well-being of clients. We've been in this location for 12 years in the heart of the Kildonans, and we have a staff of 12 (counselors, psychotherapists, life coach, and yoga instructor). We'd love to have an RMT on site to help complete the care-giving of our well-established clientele. We are looking for dynamic MASSAGE THERAPISTS to join our team in Portage la Prairie. Newer graduates are encouraged to apply! Hot & Cold Stone Therapy Class! We are looking for dynamic MASSAGE THERAPISTS to join our team. Openings now in Gimli. Maples Physiotherapy Clinic (MPC) is currently accepting resumes for our Garden City and North End locations! We are currently offering part-time and full time positions where you have the freedom to set your own schedules and use our resources to help run your practice. New graduates are welcome! Grosvenor Massage Clinic is looking for RMT's, who are serious about being an independent Contractor. -who is self-motivated in growing her/his own practice. -works as a team member. -who is in good standing with their association. I have been practicing for 25 years, and practice visceral manipulation. 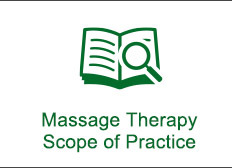 I have a busy specialized practice, and am looking for therapists to pass on new massage patients. Reasonable commission based rent, with room for negotiations. I am located in the heart of St. Boniface Industrial Park @ 250 Panet Rd. Room can be furnished or unfurnished if you want to decorate it to make it your own. If you are interested in working with me, please submit a resume and references to carol@grosvenormassageclinic.com or call Carol @ (204)391-1945 if you have any questions. Suitable for new graduates wanting to work with an experienced Therapist for mentoring. Private physiotherapy clinic in south St. Vital looking for a self employed RMT on a contract basis for part time hours with the opportunity for full time as the caseload grows. Experience an asset but not required, new grads welcomed! We are looking for someone who is professional, adaptable, can provide education to their patients, and is interested in becoming a permanent member of our health care team. We are open from Monday to Saturday with morning, daytime, and evening appointments available. We are looking for someone who is available for 2-3 days a week to start; this can increase to 4-5 days a week as caseload grows if so desired. The hours are flexible. Clinic provides a private room with a hydraulic bed, business cards, and support staff for appointment scheduling, billing and payment services, and laundry/room cleaning. Start date flexible. Email your resume to andrea@seineriverphysio.ca today! 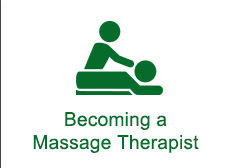 Polo Park Chiropractic Centre is looking for a registered massage therapist to join our team. Work alongside Chiropractors and Massage Therapists in a professional environment while keeping a friendly and family style atmosphere. Position open for a Massage Therapist to add to our existing staff, for busy physiotherapy clinic in Brandon. 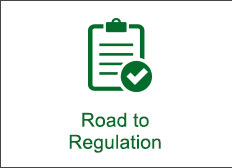 Must have RMT certification for billing to insurance companies. Well established caseload with current waiting list. Reception, billing services and laundry supplied. Close interaction with physiotherapists for referrals of mutual clients as needed. Mechanical up/down bed with warmer. Plenty of parking. Now hiring full time RMT. Position available now! Immediate clientele. South St. Vital clinic in business 16 years well established. Flexible hours and rental agreement for the right fit. Avenue is looking for an RMT to fill a vacancy. Clients available. By % or rent room. Can book appointment if required. Registered MT wanted to join a dynamic professional team at River East Physiotherapy & Sports Fitness Clinics in North Kildonan. Our 2 clinics are newly renovated. Flexible hours Mon through Sat. Just opened up this year and already busier than I can handle. Looking for Part-time/Full-time RMT, who has a positive attitude, and is motivated to grow their profession!